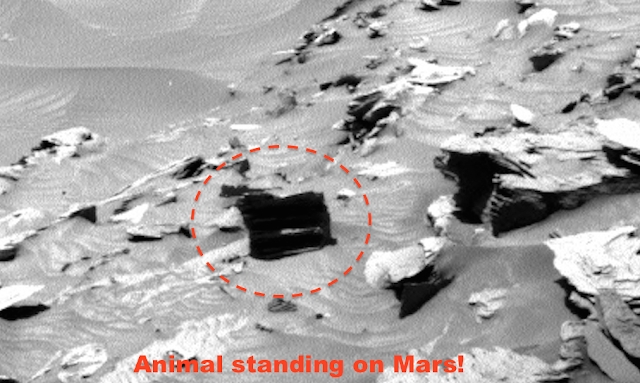 UFO SIGHTINGS DAILY: Dog Found On Mars Looking At Mars Rover From A Hill, April 2016, UFO Sighting News. 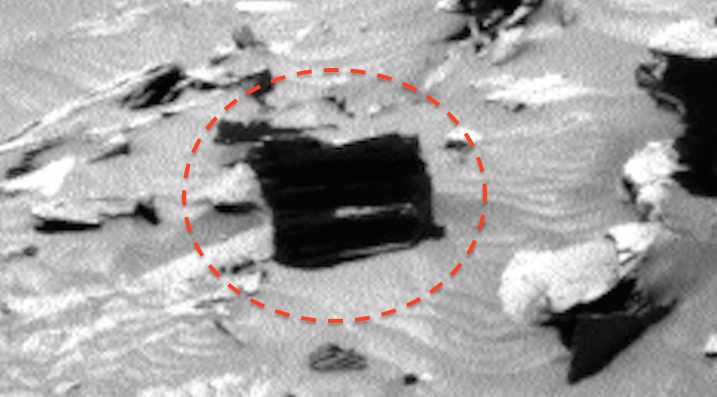 Dog Found On Mars Looking At Mars Rover From A Hill, April 2016, UFO Sighting News. Yes, I found a dog on Mars...yeah, yeah, I know, but it really looks like a dog, and how cute is that? Now this dog is actually in two different photos by the Curiosity rover that were taken today by different cameras at the same moment. You see the dark shadow below it because its standing up, looking to the left. What I want to know is...if its alive...why is there no footprints in the sand? Perhaps a statue? Future photos of the area will tell, since this was update today from NASA. The photos were taken by two different cameras. Navcam LEFT B, and Navcam RIGHT B, so this confirms the object is there, but why didn't it move? Thats easy really. Both...and I repeat, both cameras took a photo at the exact same time. Both cameras state that the photos were taken on 15 Apr 2016 04:47:15 UTC. So, both photos were taken simultaneously, meaning they are of the same object, but a slightly different angle, as you see from the gif below. 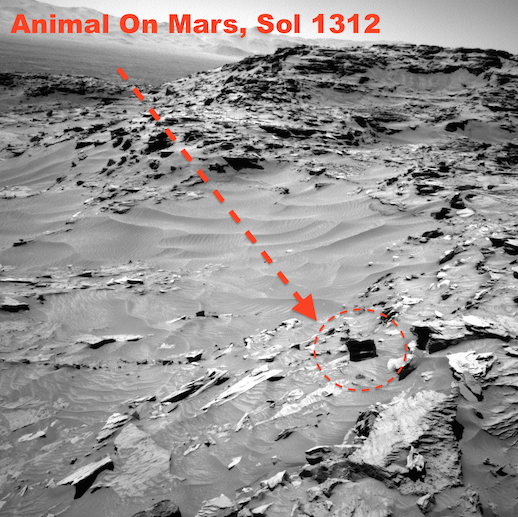 Everyone...I want to introduce to you, the dog...on...Mars.